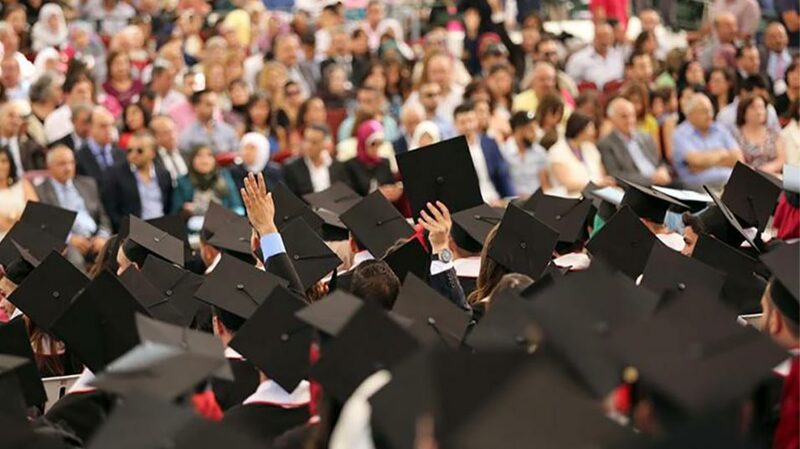 More than 2300 graduates will receive their diplomas at Birzeit University’s 43rd annual Commencement Ceremony, which will be held on three days: June 22, 23, and 24. Dr. Abdel Aziz Shawabkeh, assistant to the president and head of the graduation ceremony preparatory committee, said that the university’s various departments and committees are working in tandem to arrange for the commencement, noting that graduating students will join more than 37,000 of their colleagues who have gone on to leave their own mark on the world. The first day of the commencement will celebrate graduates from the Faculty of Engineering and Technology, the Faculty of Education, and the Faculty of Graduate Studies, while the second day will see students from the Faculty of Arts, the Faculty of Science, and the Faculty of Pharmacy, Nursing, and Health Professions receive their diplomas. The third and final day of Birzeit University’s 2018 Commencement Ceremony will confer degrees on graduates and graduation-candidates from the Faculty of Business and Economics and the Faculty of Law and Public Administration.